(WEWS/CNN) - An Ohio man convicted of robbery and aggravated assault will get a second chance for a new sentence after a judge ordered his mouth duct taped shut in court. Judge John Russo made headlines last week when he had Franklyn Williams' mouth duct taped shut in court. That order came after repeated outbursts from Williams during his sentencing hearing. Six sheriff's deputies walked up to Williams and as Williams tried to get up, one of the officers is shown forcing him back down. Another officer proceeded to tape his mouth with red duct tape. 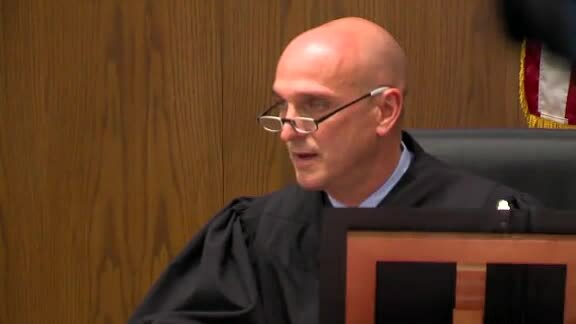 The video quickly caught the attention of the American Civil Liberties Union of Ohio, which characterized the judge's actions as humiliating to the defendant. On Monday, the judge apologized for taking that action and recused himself in the case, which means another judge will decide Williams' sentence. Russo directed part of his apology to the 700 plus other judges in Ohio. "I regret any impact or repercussions for my actions last week. I never want the fairness and justice that each of you deliver in your courtroom to be questioned no matter the circumstances," said Russo. Russo had previously sentenced Williams to 24 years in prison.